According to; Pickaway County Sheriff Robert B. Radcliff, on September 1, 2017 at approximately 11:49PM Pickaway County Sheriff’s 911 Dispatch received a call from 311 Tarlton Road, Circleville, Ohio 43113. The caller advised the victim was injured as result of a gunshot wound. Pickaway Township EMS, Sheriff’s Deputies, Sheriff’s Detectives and Sheriff Robert Radcliff responded to the scene. 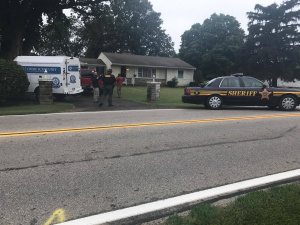 The victim Amy L Diehl age 44, of 311 Tarlton Road, Circleville, Ohio was transported by Pickaway Township EMS to Berger Hospital where she was pronounced D.O.A. and appearing to be victim of a gunshot wound. Two people were allegedly at the scene of the shooting, and on Saturday, the Pickaway County Sheriff’s Office took James McVey into custody for having weapons while under disability – Under: Indictment, convicted of a felony. James McVey and the victim, Amy L Diehl were apparently in a relationship. 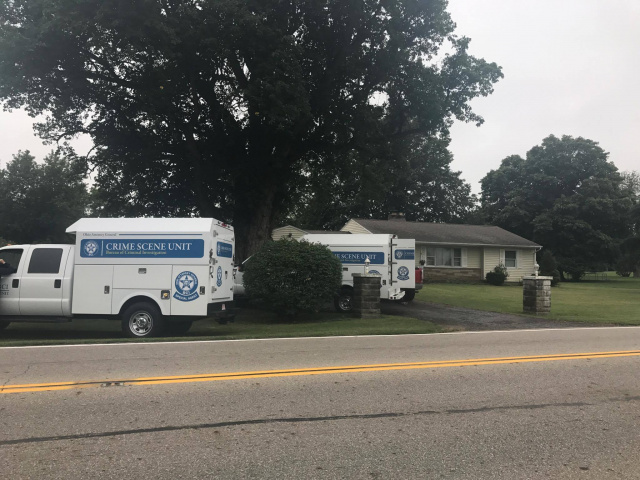 Pickaway County Prosecutor Judy Wolford was on the scene along with Pickaway County Coroner Dr. John Ellis, who ordered an autopsy to be conducted. The Ohio Bureau of Criminal Identification and Investigation was called to assist in processing the scene. Sheriff Radcliff stated that “The shooting is not related to the murder that took place earlier this year Logan Elm Village.” Two people were allegedly in the residence at the time of the incident. The victim, Amy Diehl was an Oncology Nurse at Adena Medical Hospital, and a mother. McVey was in an alleged relationship with the victim. According to publicly available court records, McVey’s felony convictions include multiple domestic violence and assault convictions, the most recent recent being in 2008. We will be updating on the investigation of this tragedy as it unfolds. Thanks so much for reporting on this investigation, no hear say, no disrespectful remarks like some paper in Circleville prints. Your articles are always professional, presise & fair to all parties mentioned. Thank You For That.